Asian American LEAD Updates! : COMING TO US, after all I made it! 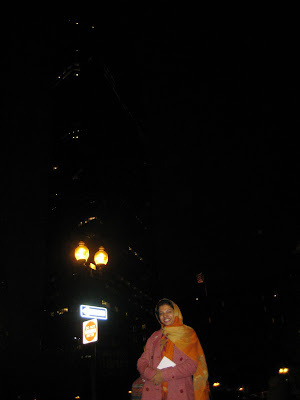 I am Masoora Ali, an Atlas Corps fellow from Pakistan and will be working with AALEAD on GIRLS program for a year. This is my very first time in US and can you believe it has been a month already. The experience so far has been very exciting but sometimes challenging as well. I am trying to understand and figure out a lot of new things here. I am very interested to meet different people and make new friends, share my experiences and learn from others. Though it is not easy to leave home country, family, friends, good job etc but I hope that this one year will make me proud of doing it. I am glad to be a part of very hard working team of AALEAD and look forward to contribute and extend my support in achieving the goals of AALEAD during my stay here.